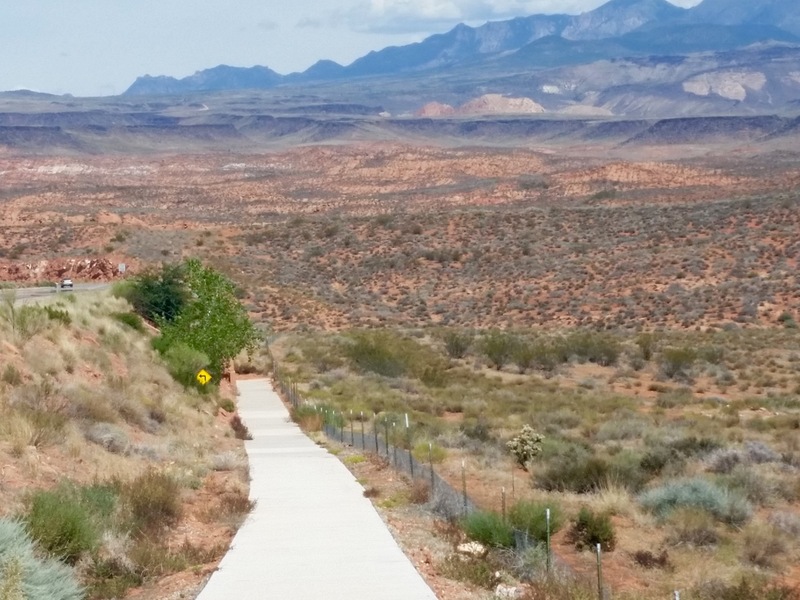 ST. GEORGE – County officials are giving mixed reviews to proposed final resource management plans recently released by the Bureau of Land Management for the Red Cliffs and Beaver Dam Wash national conservation areas. The Bureau of Land Management plans affect more than 100,000 acres of public land in Washington County and stirred heated debate during the public comment period that ended last fall. “These proposed resource management plans represent some common ground that came from a lot of learning that happened on both sides,” BLM St. George Field Office Manager Brian Tritle told the County Commission Tuesday at a regular meeting. The plans were released Aug. 30, a few days ahead of the official start of a 30-day protest period, to give interested parties more time to review the nearly 600-page proposed final plans. County commissioners expressed appreciation to the BLM and to all those who commented on the plans. “I just want to thank the BLM and the St. George Field Office. They’ve done a great job over this past year. As we evaluate I think there’s a lot of good things here,” Commissioner Victor Iverson said, adding that the county still has concerns, including the proposed northern corridor. More than 6,000 comments were received by the BLM during the public comment period; 700 information packets about the protest period were mailed by the BLM to those who submitted comments and included a mailing address. Although county officials have not had time to comprehensively review the proposed final plan, there are issues the county is not happy with including the lack of provisions for the proposed northern transportation corridor. However, several positive changes have been identified. “We’re really happy that the Bull Valley Multispecies Management Area isn’t in there anymore,” Deputy Washington County Attorney Celeste Maloy said. 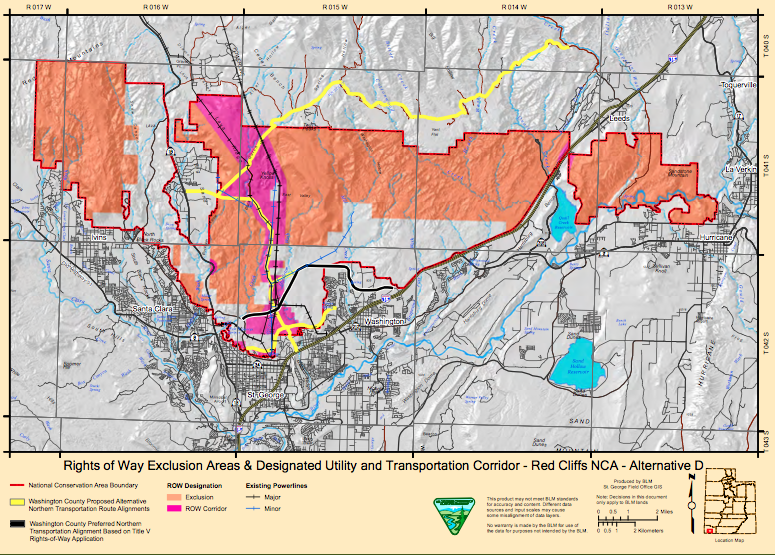 A section of the plan’s draft documents proposed changing the county’s largest ATV open ride area near Bull Valley Mountains in western Washington County to a multispecies management area. The draft plans would also have eliminated access to active mining claims in the Mineral Mountain area, Maloy said, while there are no known protected species in the 87,000-acre area. Water rights were another area of concern for county officials. Language in the draft plans appeared to prohibit the export of any water from the NCAs; however Tritle said in an earlier interview that such fears were unnecessary because the agency cannot override existing water laws or rights. This worried county officials because the Navajo aquifer lies under the Red Cliffs National Conservation Area, which borders most of the population of the county, Maloy said in an earlier interview. Municipalities draw water from the aquifer via wells located in and near the reserve. In the proposed final plans, any proposed management action related to water rights would comply with the State of Utah’s water rights system, Maloy said. The BLM could still purchase water from willing sellers for use in campgrounds and visitor facilities. 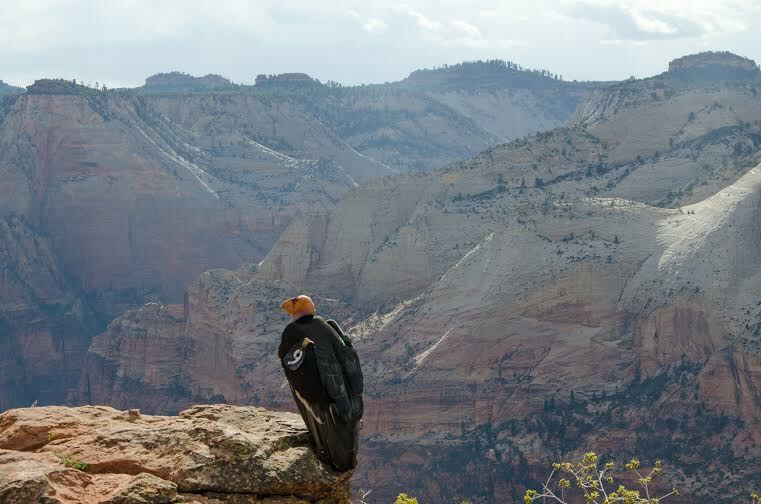 Language about condor reintroduction now references a memorandum of understanding between the county and the U.S. Fish and Wildlife Service, Maloy said. 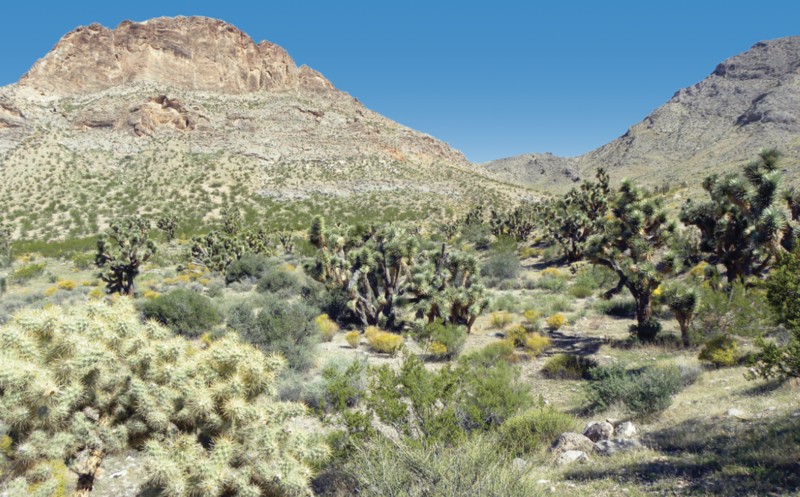 In the proposed final plan, lands with wilderness characteristics will be inventoried, but not managed as wilderness, Maloy said, and the county is in favor of this approach. The proposed size of riparian buffer zones restricting surface disturbances was changed to 330 feet to be consistent with current BLM Utah policy, BLM Color Country District spokesman Christian Venhuizen said. Grazing permits have been left at the status quo. The BLM proposes to continue livestock grazing on 61,995 acres of allotments in the Beaver Dam Wash National Conservation Area, Venhuizen said. The BLM analyzed the impacts of grazing along with public comments and input from cooperating agencies, Venhuizen said, including the U.S. Fish and Wildlife Service. An animal unit month is the amount of forage needed to sustain one cow, five sheep, or five goats for a month. The proposed final plan continues to authorize 3,099 initial animal unit months of livestock forage, an increase from 1,861 animal unit months in Alternative B of the draft NCA Resource Management Plans, Venhizen said. 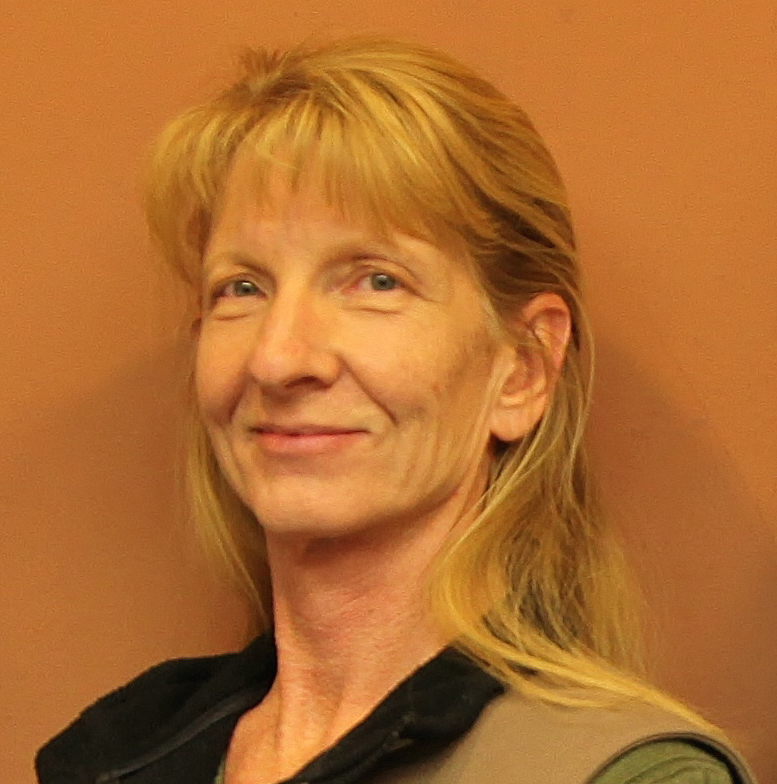 There are also changes in a proposed ban on the discharge of firearms and off-leash hunting dogs in the Beaver Dam Wash National Conservation Area, Venhuizen said. “After discussions with the U.S. Fish and Wildlife Service and carefully considering public comments, the BLM decided that any potential adverse effects from target shooting could be addressed with help from the target shooting community by being safe and considerate when shooting, picking up casings and targets, and not allowing ‘target trash’ sites to develop,” Venhuizen said in an email. Protests must be in writing and be postmarked on or before Oct. 3, the end of the 30 day protest period. Any person who participated in the planning process and has an interest which is or may be adversely affected by the planning decisions may protest approval of the planning decisions. A protest may raise only those issues which were submitted for the record during the planning process. Several elements are required for a protest; for more information about the protest process and requirements, see this webpage on the BLM’e ePlanning website. The proposed plans and amendment, along with a final environmental impact statement, are available to view or download from the BLM’s ePlanning website here. Copies of the documents are available at the Interagency Public Lands Information Center, 345 East Riverside Drive in St. George. The proposed final resource plans are expected to be available on disk starting Wednesday. 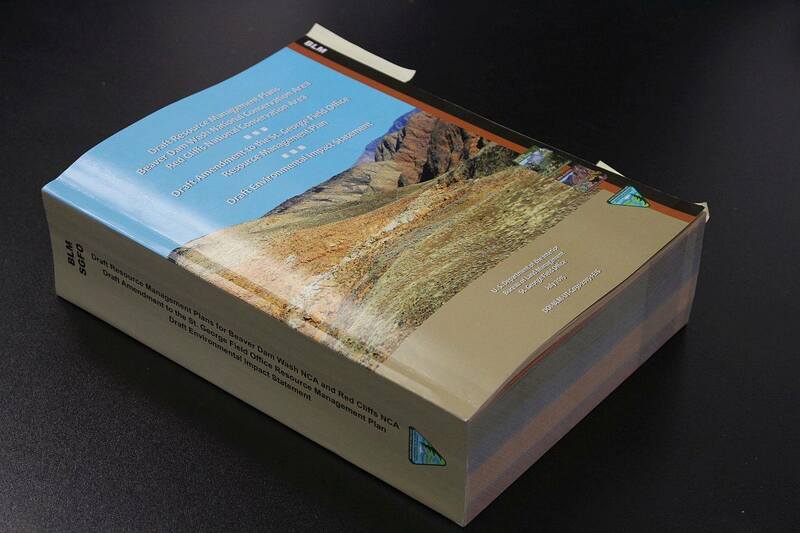 The plans can also be viewed at the BLM Utah State Office Public Room, 440 West 200 South, Suite 500 in Salt Lake City. The documents are available during from 8 a.m. to 4:30 p.m., Monday through Friday, except on federal holidays. U.S. Postal Service: BLM Director (210), Attention: Protest Coordinator, P.O. Box 71383, Washington, DC 20024–1383. Overnight Delivery: BLM Director (210), Attention: Protest Coordinator, 20 M Street SE, Room 2134LM, Washington, DC 20003. Before including your address, phone number, email address, or other personal identifying information in your protest, you should be aware that your entire protest — including your personal identifying information — may be made publicly available at any time. While you may ask the BLM in your protest to withhold your personal identifying information from public review, the BLM cannot guarantee that it will be able to do so. For additional information, contact Keith Rigtrup at 435-865-3000. I think they intentionally make these proposals massive and impossible to understand. The same tactic is being used by special interests and shadowy groups to completely take over Washington DC. 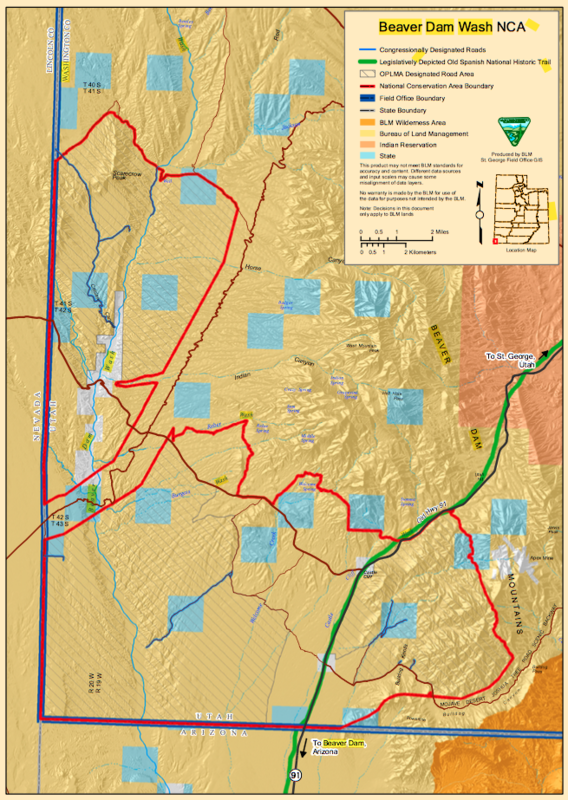 If they just said “We plan to make a massive road that goes across the face of Pine Valley Mountain and connects St. George with Silver Reef and will change Washington County forever” people would be up in arms. But they bury it deep in a massive proposal and ask for public feedback and surprise, surprise, all you get is crickets. Who knows if that is what they are still planning? Who could know, except a team of lawyers and witches with crystal balls. Brian, the Northern Corridor you reference is alternative D and is not in the final plan. That’s why some of the developers (er, city and county leaders) are so unhappy with the plan. They want alternative D which does just what you outlined. The final BLM plan is alternative B which does not have a Northern Corridor. By the way, excellent article by Julie Applegate. It’s pretty much the same thing as Bob claiming that the United States Government owns big pharma !